Spark Studios offers a series of courses segmented into 6 classes per course with a themed syllabus taught in English. Held in a child-friendly kitchen, these courses allow children to learn various culinary classes as well as etiquette classes. If your child is four years of age and would like to join our classes, please feel free contact us to arrange for a smaller class group. 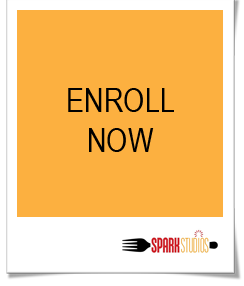 Should you decide to enroll your child(ren) with Spark Studios, the trial class fee will be incorporated into the full course fee. Spark Studios also teaches adults! We customise classes for adults whereby we work with you to create a recipe that you would be able to easily recreate at home. Feel free to reach out to us at sparkstudioshk@gmail.com for more information. 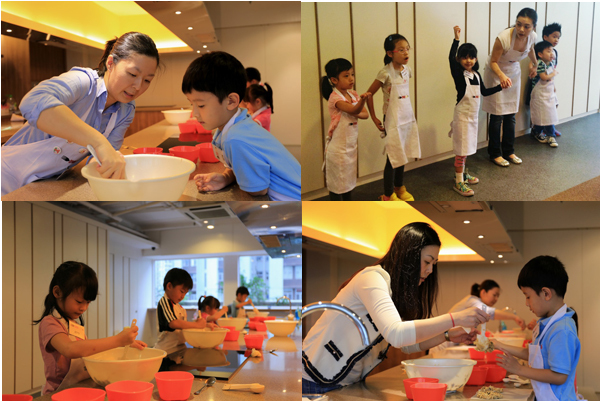 In Creative Cooking, children learn about the art of healthy eating in a fun and engaging manner through a series of themed courses. Classes will teach children the benefits of a healthy diet and at the same time teach them the cooking basics. We have created a list of excellent, children-friendly recipes where children can be involved to make the whole cooking process an enjoyable experience. 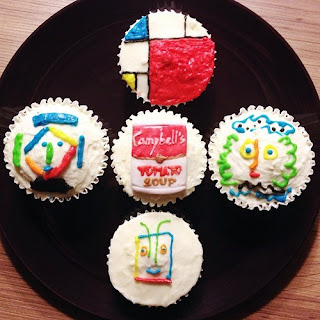 Learn 20th Century Western Art History through food decoration! Study the development and stylistic changes of art over time. Children will learn about Pablo Picasso, Henri Matisse, Salvador Dali, Piet Mondrian, Andy Warhol and Roy Lichtenstein and the different art movements. Children will learn to recognize the artists’ work and try to replicate iconic works on cakes and cookies using colorful icing developing piping skills instead of a paintbrush on canvas. Etiquette is a code of behavior that defines expectations for social behavior according to contemporary conventional norms within a society, social class, or group. Table manners specifically are the rules of etiquette used while eating. In this course, children will learn the table manner in various cultures, which will also include the appropriate use of utensils. An optional add-on to the class comprises a meal after lessons for them to apply skills taught during class. If students would like to join Spark Studios courses but cannot make the above schedule, Spark Studios welcomes students to join us a time of their convenience if they can group together eight students or above on a weekday. Spark Studios offers a membership whereby for a one-off joining fee of HK$200, the student will receive a welcome kit as well as be entitled to a discount on classes, workshops and other special offers.